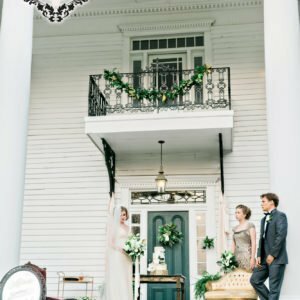 In the Deep South we have some very beautiful historic Plantation homes.Deep porches and tall columns with wood siding almost always painted white they litter the landscape in and around Atlanta GA. Add huge tall trees for shade in the Souths summer heat these homes are perfect wedding venues adding style and personality for your special day. 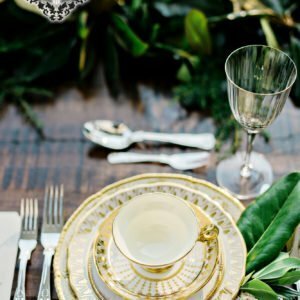 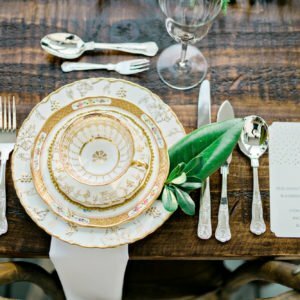 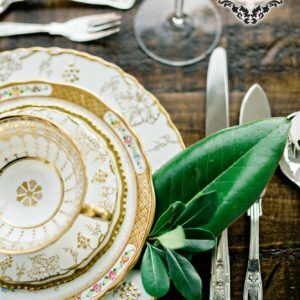 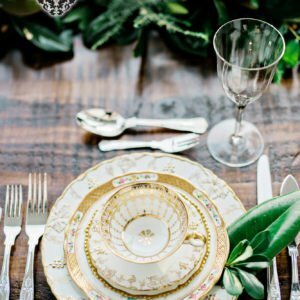 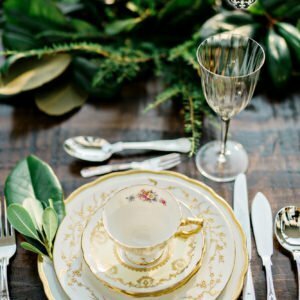 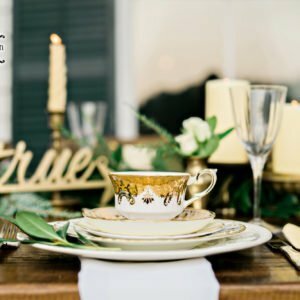 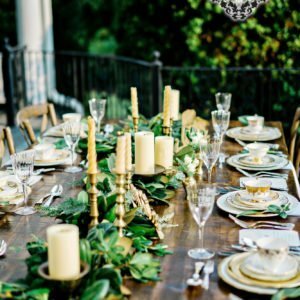 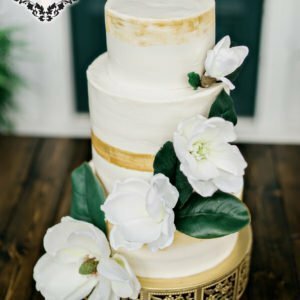 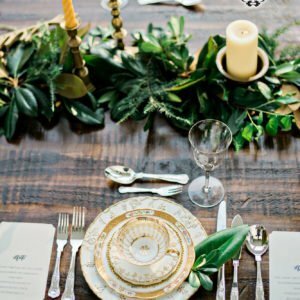 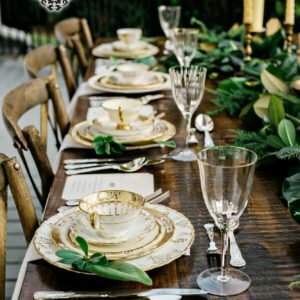 Here we aimed to show a deep south elegant luxury event with a nod to southern roots with Magnolia leaves and adding true sophistication with fine china in gold and white. 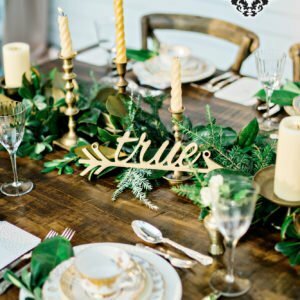 Using rustic wood farm tables and creating one long table we add a showstopping vignette for the guests to enjoy. 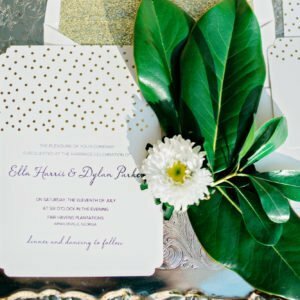 Simple elegance is created with an elegant palette of white and Gold. 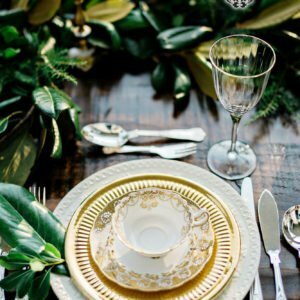 Gold and white are the simplest way to an elegant wedding table.